Welcome to the Holiday Inn BWI Airport Hotel, IHG 2014 Newcomer Award Winner. We are a full-service hotel located just 1.2 miles from Baltimore Washington Thurgood Marshall International Airport. 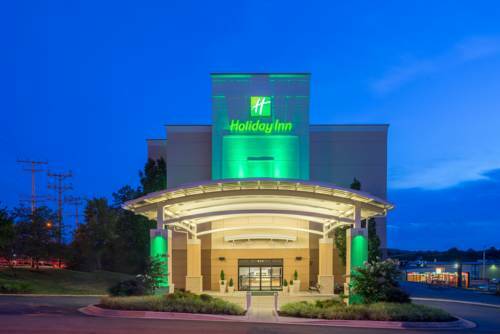 The Holiday Inn BWI Airport hotel is your Baltimore suburban gateway location for getting around the Baltimore, Annapolis and Washington, D.C. areas. Business and leisure travelers alike can experience the convenience of our Interstate 295 location on West Nursery Road in the BWI Hotel District that makes getting around easy. We offer 24-hour complimentary shuttle service to BWI Airport, BWI Amtrak Station, MARC, the Light Rail and the local area within a 2 mile radius. . Nearby attractions include: Baltimore's Inner Harbor, M&T Bank Stadium home of the Baltimore Ravens, Oriole Park at Camden Yards, National Aquarium, Maryland Science Center, Maryland Zoo, Baltimore Convention Center, Horseshoe Casino, Navy-Marines Memorial Stadium, Historic Annapolis and the US Naval Academy. There is so much more within a short driving distance including: Northrop Grumman, Fort Meade, Port of Baltimore, Coast Guard Yards and The Arundel Mills Mall and Maryland Live Casino. Convenient to University of Maryland College Park, Johns Hopkins University, University of Maryland Baltimore County (UMBC), Columbia and Washington, D.C. all its monuments, museums and attractions are 30 miles south of the hotel. Elevations Restaurant: Elevations Restaurant and Bar offers a variety of mouthwatering favorites and daily specials. Elevations: Relax in our lobby lounge Elevations. Enjoy a beverage, watch your favorite sporting events, the latest news or socialize with friends over a bite to eat. Chesapeake Boardroom: Our Chesapeak Boardroom is the perfect place to meet for groups of 10 or smaller. Harbor Place/Baltimore Inner HarborVisit unique shops and eateries at and around Baltimore's Inner Harbor. Harbor Place is located in the heart of the harbor. Take advantage of Baltimore's Water Taxi's to explore each of the neighborhoods surrounding the Inner Harbor. Oriole Park at Camden YardsOriole Park at Camden Yards, home of The Baltimore Orioles. M&T Bank StadiumM&T Bank Stadium home of the NFL Superbowl Champions The Baltimore Ravens, located in downtown Baltimore, just 3 blocks from Baltimore's Inner Harbor.